tapestry316: Walking on water and blooming at night - Funtry Friday happenings! Walking on water and blooming at night - Funtry Friday happenings! 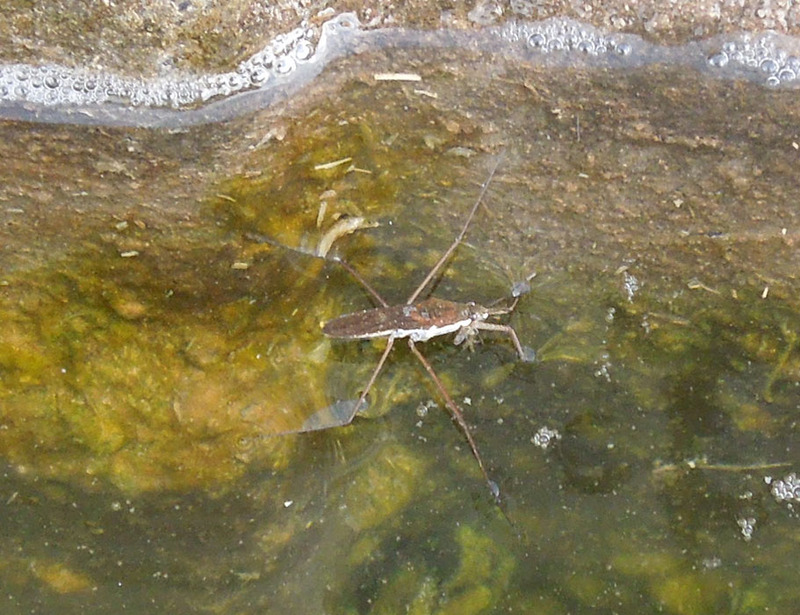 It was really cool to watch this bug walk on water, though! They nest on the ground and when a predator arrives, the adult will flop all over the ground squawking the whole time. 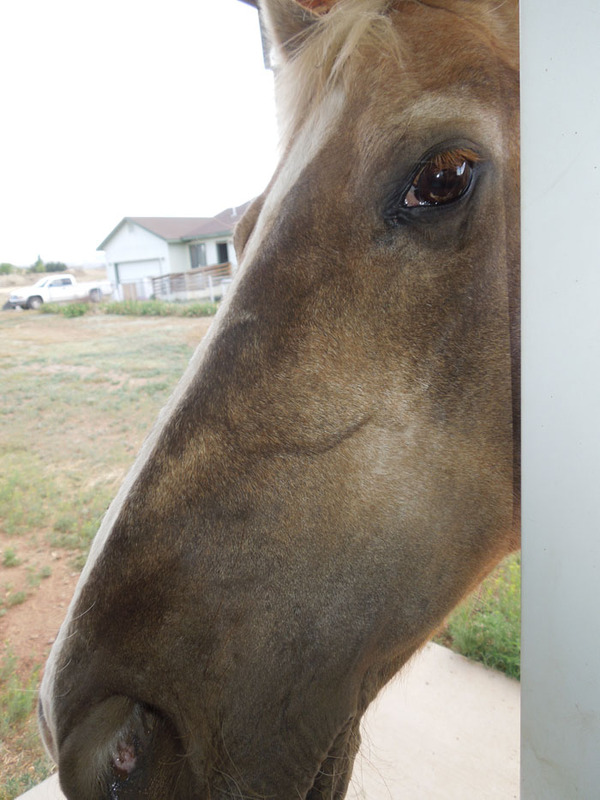 One of these days, Hershey is going to get whapped with the door regardless of how careful I am. He just wants to make sure I am doing everything right. Seriously, girlie, you are not missing anything. Hope your Funtry Friday is a splendid jumping off place for your weekend! Thank you, Daffy dear! Always lovely to see you here! Looks like Billie Jane is enjoying her tire and wheelbarrow dishes! How does it feel to be classified as a predator?!! LOL! So many folks miss the joys of life simply because they don't pay attention. Thanks for sharing yours! Hershey is such a hoot! 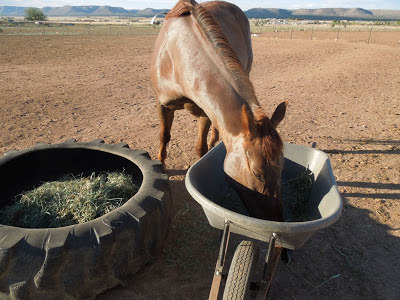 And it is so funny that Billie Jane makes sure the wheelbarrow is empty before chowing down on her bowl full! My dog does the same thing - she checks to make sure we have given her all of the "treats" before she eats her food! The plant is Oenothera deltoides, a form of evening primrose, I believe. Hey, cool! Thanks for the information on the flower! That is absolutely what it is. I will add that information to my blog post. haha - I have a dog who waits, too. LOL - the other dog doesn't which can make for an interesting food event sometimes. You are welcome! I have a lot of fun with the critters - and the lovely warmer spring weather. Great animal captures as always! 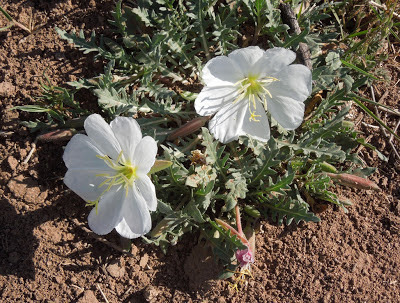 The moonflowers are so pretty and delicate looking. Thank you! They are very pretty. Love your pictures, as always :) Especially that one of your Hershey... so awesome! Oh yes. Do paint them! Eating is a highlight of one's life if one is an animal. Water bugs are pretty fascinating creatures. They are such pretty flowers - I can't resist. I'll have to paint an iris, too - lol - just as many photos of them. haha That is absolutely true! Feeding time around here can be hysterical - in more ways than one! I don't often see the water bugs. It was really fun to watch. They really do walk on water! I was really surprised at the bright colors. They are very pretty and have a sweet call, too. lol so much fun at your place! 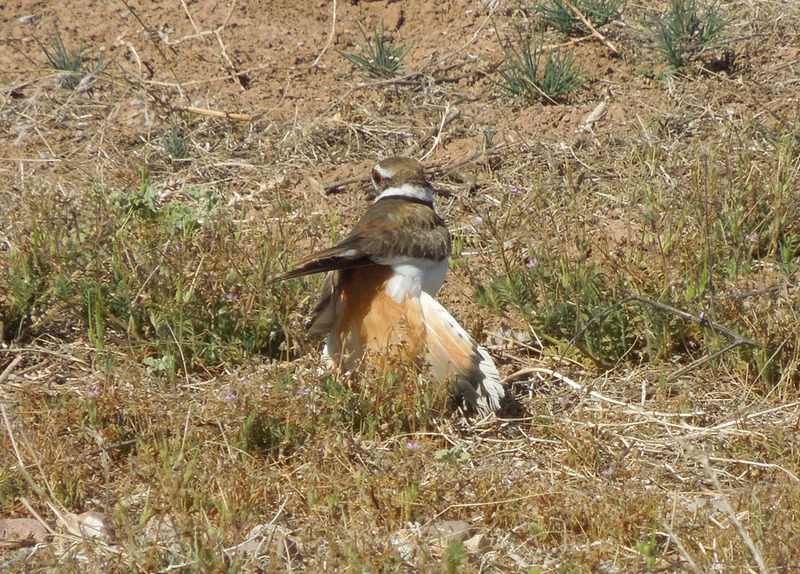 Love the killdeer! And no... I have not nor will I ever try and rescue a water bug lol Looks creepy to me! Thanks, Pam! 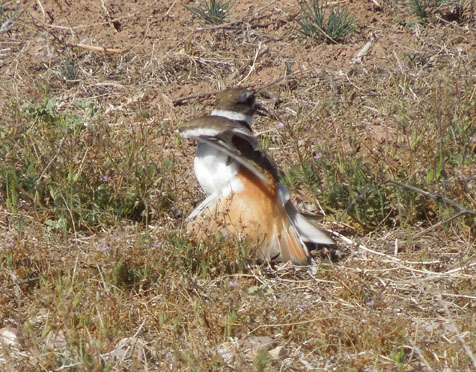 The sod farm across the street must have enough water to attract the killdeer. There are several around here. 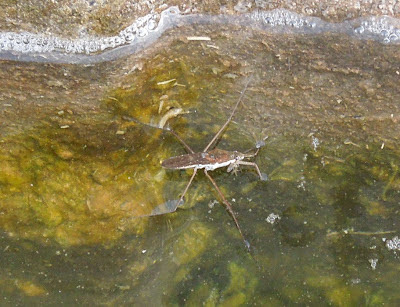 LOL - the way the bug walked on water was funny. Glad you enjoyed the horses! Ah, the mind of a horse... Funtry Friday! A little nudge and a jump start! ...and a partridge in a Funtry Friday pear tree!